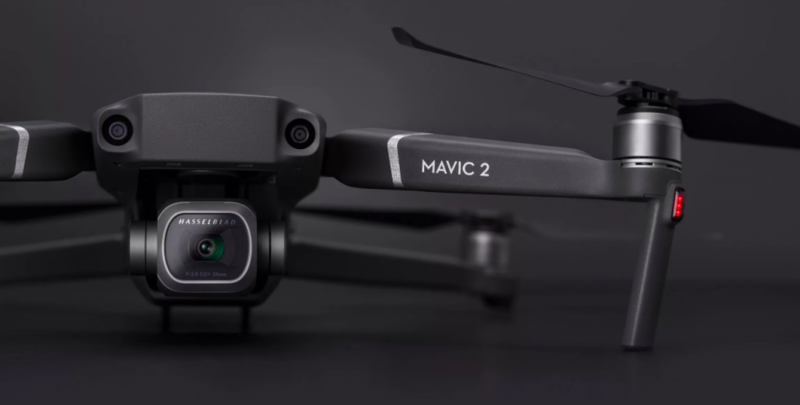 What to Expect from the New DJI Mavic Pro 2? Today, the whole drone community is looking forward to the release of a new “brainchild” of the best drone manufacturer – DJI Mavic 2 Pro. We don’t have the exact information because DJI didn’t make official announcements. 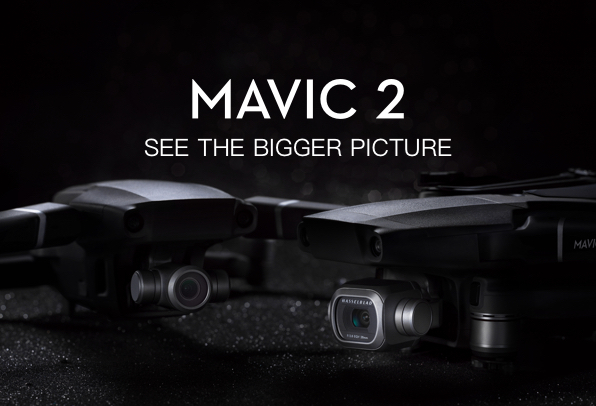 Nevertheless, the internet is overwhelmed with DJI Mavic 2 rumors. It means pilots are looking forward to the release of this aircraft. What will it be? How much will it cost? What features will this drone have? In this review, we’ll try to answer all these questions for you to know what to expect. When a new drone hits the market, true pilots don’t try to save cash. 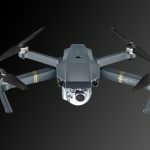 Not all new products are worth their money but we can’t tell the same about the new Mavic from DJI. We can’t predict the exact price of this aircraft but if to believe the rumors it won’t cost more than $1300 (and $1500 for a more robust version). Nevertheless, experts consider that its cheaper model will also be endowed with a plethora of great options. Besides, there is a viewpoint that its cheaper version will have a revamped design, a bigger sensor and a longer flight time. If you are ready to pay more for the premium model, you’ll get more benefits as a 20-megapixel sensor and enhanced image processor. As a result, your drone will be able to handle 10-bit color and better frame rates. When Will the Drone Hit the Market? Every fan of DJI drones is looking forward to the DJI Mavic 2 Pro release date. Nevertheless, we can’t tell the exact date. Firstly, there were rumors that the new Mavic would hit the market at the end of March. Nevertheless, you see that the deadline has already gone but the drone is still at the stage of development. Now, company insiders consider that the new aircraft will hit the market at the beginning of August 2018. We know that the beta testing is over, the only we need is to wait! What about the Functionality and the Range of Options? If to believe the DJI Mavic 2 latest news, we can conclude that the new drone will have two versions. One of them will be endowed with the Sony IMX226 CMOS 1/1.7 sensor. Yet still, the second version will have a larger 1-inch sensor. Besides, the new product will feature 4K 10-bit video recording. If you are a professional drone pilot or a filmmaker, you’ll definitely appreciate this option. As a result, the image or video quality will be better! Nevertheless, this feature requires the use of a high-end Micro SD card which will be able to handle a fast data transfer rate. The Argos listing mentions ‘omnidirectional obstacle sensing’ too, which could mean 360-degree obstacle avoidance detection for making it virtually crash-proof. 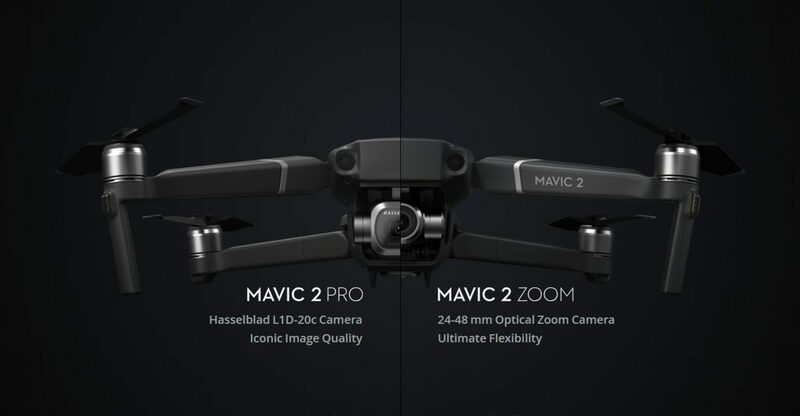 DJI Mavic 2 models: the Mavic 2 Zoom and Mavic 2 Pro. The Mavic 2 Pro will have a 1-inch Hasselblad sensor, the Mavic 2 Zoom will get the 2x Dolly Zoom. Besides, the new drone will have the Six Sided Obstacle Avoidance System. This option is a powerful enhancement which is really worth its money! If to believe the rumors, the new drone will have cameras on all sides. We mean the front, rear and the bottom cameras and IR sensors on all the sides. Analyzing such aspect as machine learning, we can conclude that the new aircraft will be more advanced than the existing version. The flight time is one of the main criteria which can influence the buying decision. Every pilot wants to have a device with a longer flight time. The new DJI aircraft will be able to fly up to 32 minutes. Considering all advancements in a combination with so long flight time, we can say that the new DJI Mavic 2 is a profitable investment. Having paid only $1300, you’ll get a super powerful drone which will provide you with the high-quality footage and longer flight experience. Nevertheless, all these facts are just rumors, based on the information leak but the whole drone community expects that the new drone will go on sale very soon. 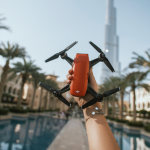 We just wish to warn you – as soon as DJI makes an official announcement about the release of a new aircraft, you will have an opportunity to buy DJI Mavic Pro 2 on our official online store in Dubai. The Mavic Pro – the Smallest and the Most Feature-Packed Drone by now. Thank you for this very detailed review. I have had my eyes on the DJI Mavic for a minute and this info just confirmed for me that it is a must have.